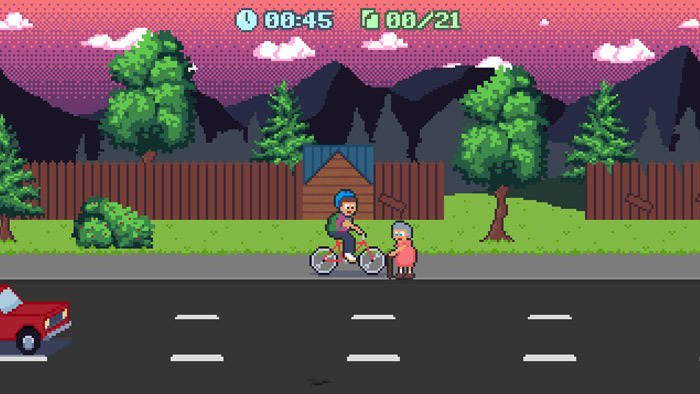 "A fun pixel art game about delivering spam mail!" 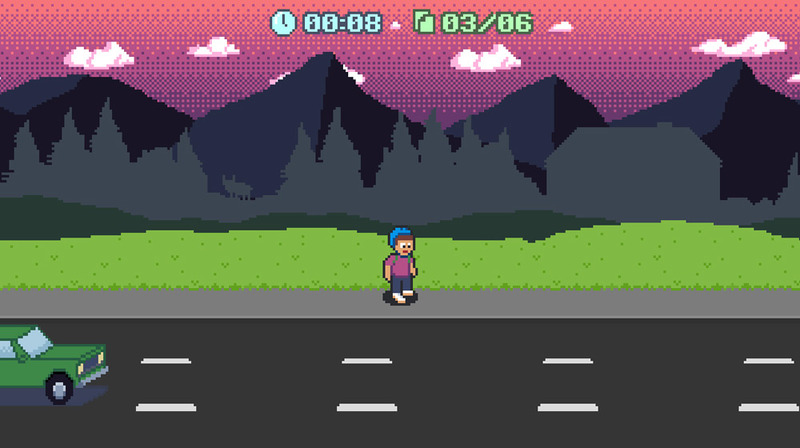 Spam Boy may not be the best looking game in fact it has rather retro feel to the graphics, nor may it have any gimmicks that haven't been seen before but what it does have going for it is that it is incredibly fun. Clearly inspired by the classic paperboy game Spam Boy sees you playing as a deliverer of junk mail and you must try to deliver as many spam letters as possible within the time frame given however if you fail to deliver the required amount then you will soon find yourself with a game over screen, along the way you will face many obstacles such as traffic, trash cans and worst of all people chasing you away from their houses when they find you trying to fill their mailboxes with junk mail. Spam Boy really gets fun from level two onwards when you start using the bicycle to deliver your spam mail, riding around is fun although it does take some getting used to the mechanics of maneuvering the bike around traffic and jumping on and off the bike to deliver mail can slow down your progress somewhat, however it certainly does add to the challenge of trying to deliver all your mail in time. 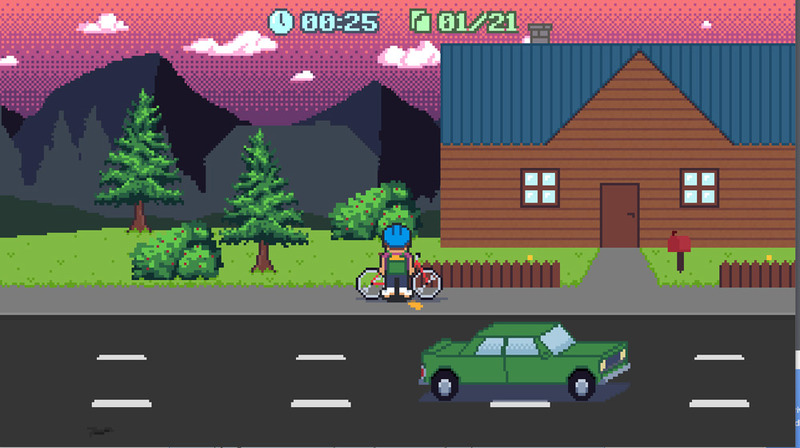 A fun and interesting game with a retro vibe. You can download Spam Boy here for free.